Home > The Print Room Blog > Screen Printing vs. Direct-to-Garment and Dye Sublimation: What are the Pros & Cons? For any custom apparel order, one of the first choices to be made is the method you’ll use to get your design or brand onto the garment. 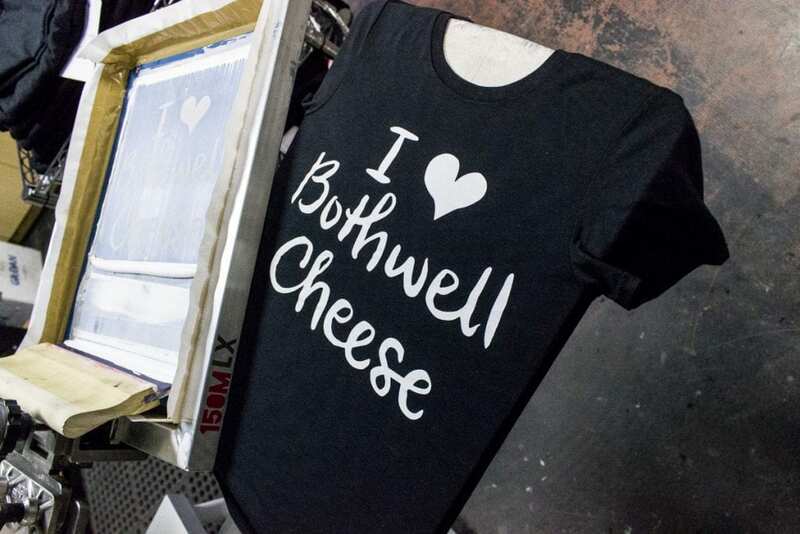 Screen Printing is one of many options available, but each method has its pros and cons. We’ll go through the most popular methods; screen printing, direct-to-garment (DTG), and dye sublimation. This will help you get a better idea of which is best for your custom apparel order. What are the Pros and Cons with screen print, DTG, and dye sublimation printing? How do the different processes work? DTG is a digital printer, that prints directly onto the fabric. Since it’s like a typical home printer, it can output multiple colours and photographs right onto a t-shirt. Most machines can print a single garment at a time, and no set-up makes it perfect for small quantities with tight turnarounds. The only downside is that the machine cannot penetrate the fabric, and since the inks need to blend to create multiple colours the print is not as vibrant or long-lasting as other processes like Screen Print. Pretty much every dot of ink from a DTG printer is made from a mix of Cyan, Magenta, Yellow, and Black (CMYK) inks. When being Screen Printed, each colour is pre-mixed and printed directly onto the garment. Why does this matter? DTG inks need to be thin enough to spray through the tiny heads of the printer, the inks can’t be as opaque or bright. Since DTG printers use a mix of CMYK inks, they are limited to the colours that CMYK can mix – which is a far narrower spectrum than our eyes can see, or that can be achieved with Pantone colours. Using fluorescent pigments lets Screen Printers nudge colours to be even brighter than the Pantone spectrum, too. Screen Printing is the process of passing ink through a mesh stencil onto t-shirts, other garments, and consumer goods like circuit boards, ceramics, and tons more. Screen Printing is a versatile process and automatic presses are capable of producing hundreds of prints per hour. Screen Printing is a versatile process and automatic presses are capable of producing hundreds of prints per hour. The inks allow for precise control of the deposit and the colour, so the prints are sharp, vibrant, and long-lasting. Every print colour is its own ink and screen, but this also contributes to the downside; the setup time for multiple colours means some designs will not be economical in smaller quantities. Screen printing requires a bit of set-up, but the process allows for a wider variety of inks, both in terms of colour variety and material. Bright and accurate colours make every design stand out, where-as some processes can leave your logo/design looking like an iron-on from a cereal box. Sublimation Printing is the process of printing onto a special heat-transfer paper, and transferring it onto the fabric with heat and pressure. The ink is heated until it melts into the corresponding fabric, but it works best only on 100% polyester garments. Since a digital printer is used to create the transfer paper, the dye-sublimation process can be economical in small quantities. The two largest factors are your design, and the quantity needed at one time. The design is the key element in this decision. Most designs can be screen printed for best results, but may not be economical in smaller quantities. If your project is smaller and the design involves many colours, photographic images then Direct-to-Garment may be the best bet. Some business models demand smaller quantities, on tight timelines. For everything else like a team of employees at a business, a group, club, camp or an event, there is a need for a larger quantity of garments at the same time. When you think you’ll need 12+ of the same design, then Screen Printing will be your best bet for quality, versatile garment choices, and economical pricing. For smaller orders and one-off designs, Direct-to-Garment or Dye Sublimation may be the best choice. Each print method has its own advantages, with Screen Printing being the most versatile. When you think you’ll need 12+ of the same design, then Screen Printing will be your best bet for quality, versatile garment choices, and economical pricing. Still having trouble with the decision? Let us know in the comments and we’ll help with the choice! 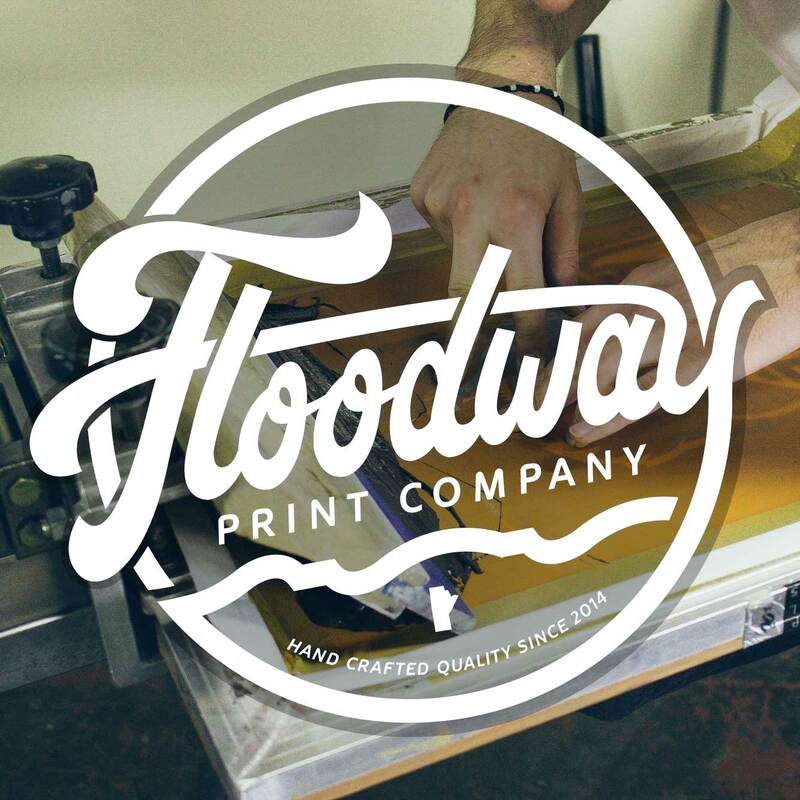 At Floodway Print Company, we specialize in Custom Screen Printing. A sharp focus on the screen print method has allowed us to grow at a steady pace while improving our print quality and customer service along the way.